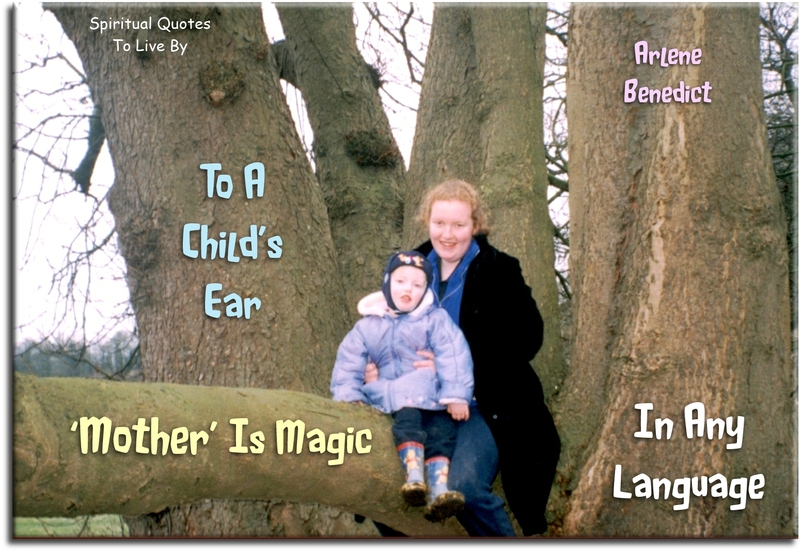 The quotes about children on this page are all positive, inspirational words of wisdom from sources and authors surnames A through to G. There are more quotes on H to M and N to Z along with Sayings About Children which are all from unknown sources. 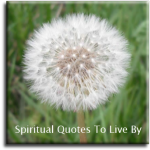 There is also a page of Spiritual Poems For Children. 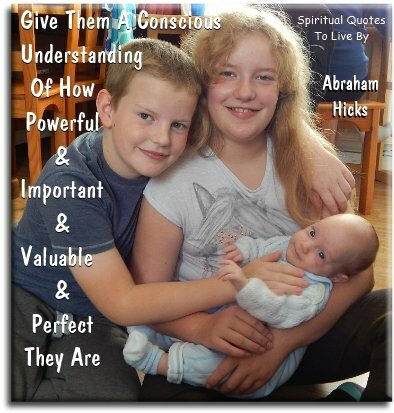 My three children have always been the most important thing in my life and my greatest blessing. 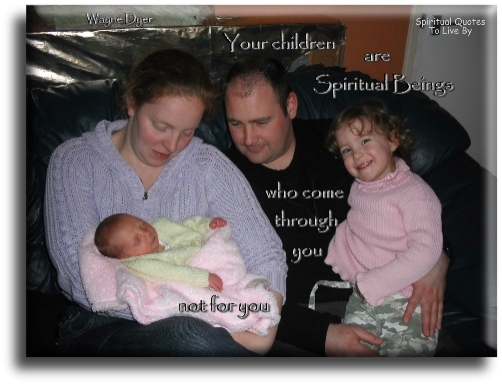 Having my children at a young age meant that I was lucky enough to enjoy the experience of all my children becoming parents. My oldest grandchild is now an adult and the others are growing up so fast. The abundance of love and joy that I have in my life with all of these treasures is amazing. Children coming forth today have a greater capacity to deal with, the greater variety of information that is coming forth, than you did. Everything I do, in every channel of my life, is part of a legacy that I'm making for my child. For my children, if I have more. I'm not motivated by much, certainly not money - but I'm motivated by that. Whatever my kid wants to do or be, I will always support him no matter what. Any book that helps a child to form a habit of reading, to make reading one of his deep continuing needs, is good for him. Don't try to make children grow up to be like you.. Or they may do it. When you have kids you grow up. I have just started realizing it now. It changes the world, having children. 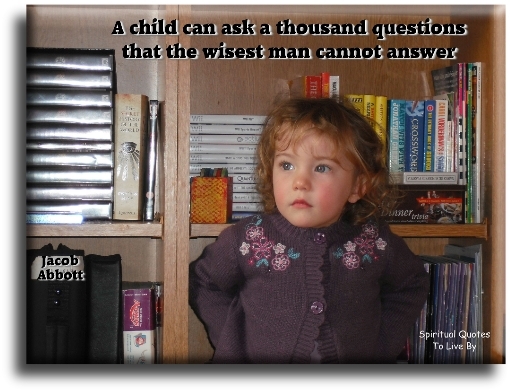 A sense of worthiness is a child's most important need. 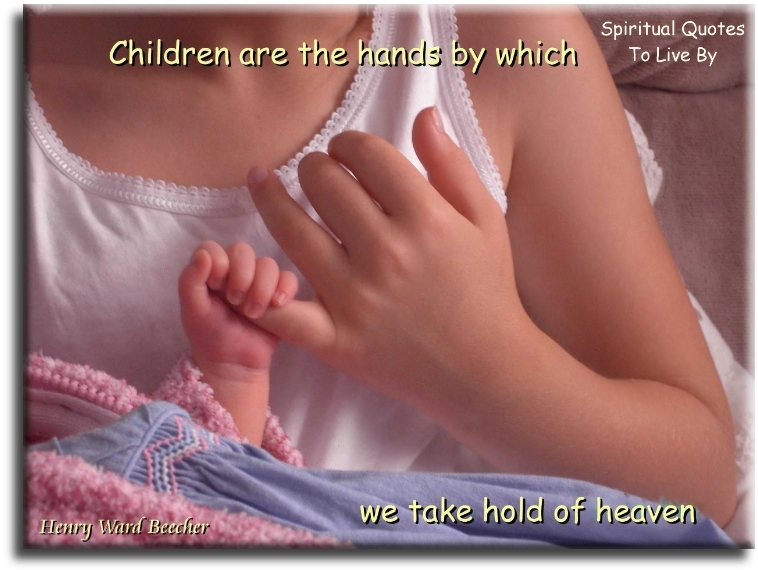 Let the children come to me; do not try to stop them; for the kingdom of Heaven belongs to such as these. until they figure it out for themselves. There is an instinct in a woman to love most of her own child and an instinct to make any child who needs her love, her own. 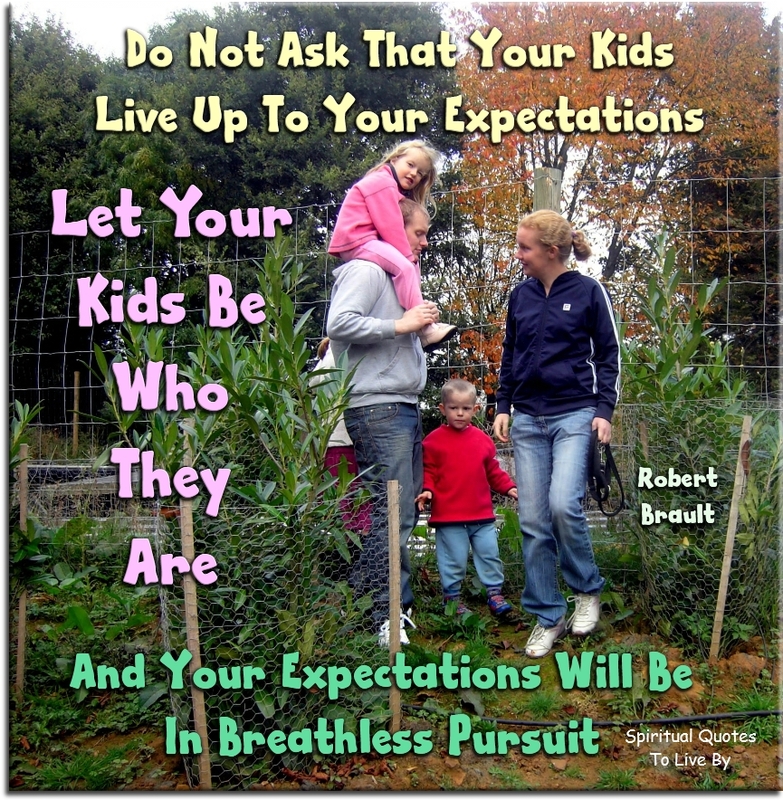 Why explain miracles to your kids, when you can just have them plant a garden? Always kiss your children goodnight... even if they're asleep. 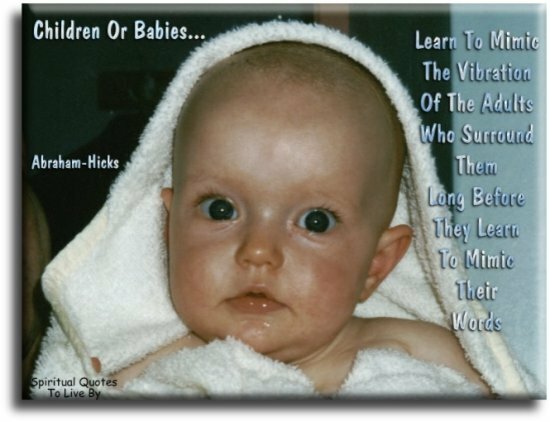 Children are our future, and the only way for the world to evolve, as I have been shown it should be, is for each generation to be more loving and compassionate than the one before. This is only possible if we support the children around us, and protect and encourage them so that they don't need to lock their love away. I love to gaze upon a child... a young bud bursting into blossom. 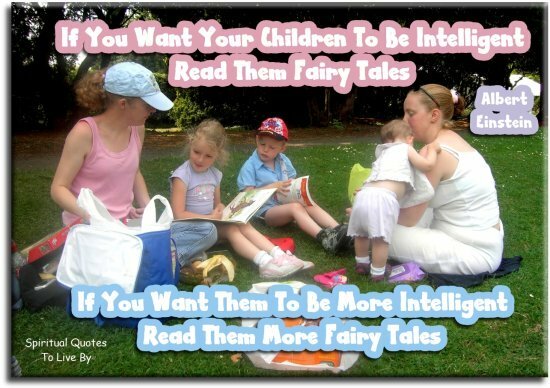 Don't just teach your children to read. Give me the life of the boy whose mother is nurse, seamstress, washer-woman, cook, teacher, angel and saint, all in one, and whose father is guide, exemplar and friend. No servants to come between them. These are the boys who are born to the best fortune. 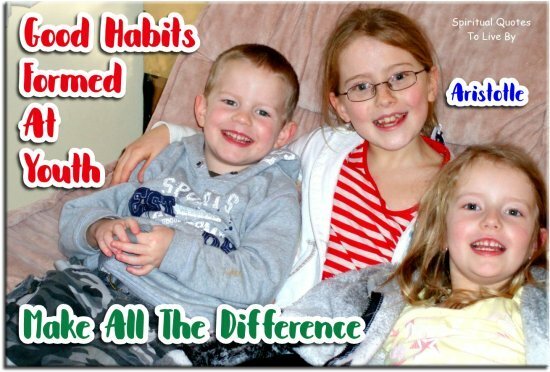 In early childhood, you lay the foundation of poverty or riches, in the habits you give your children. Teach them to save everything, not for their own use, for that would make them selfish, but for some use. 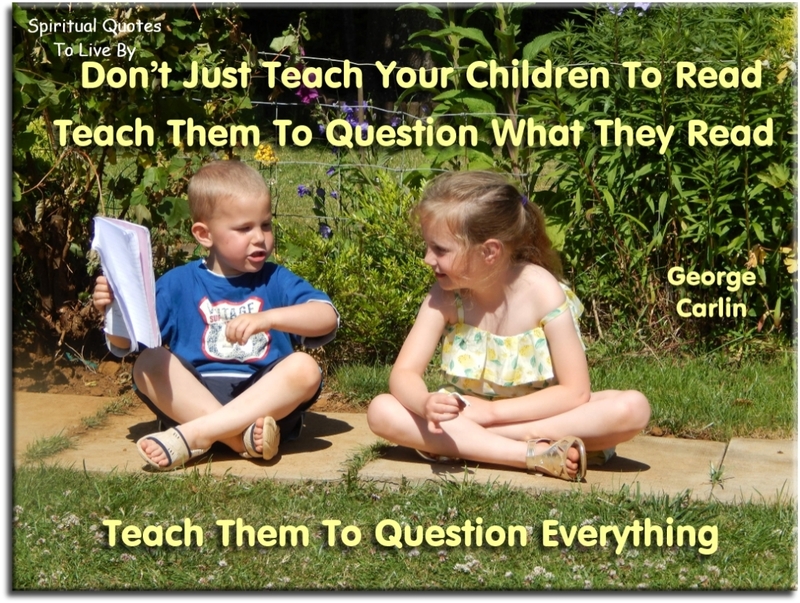 Teach them to share everything with their playmates; but never allow them to destroy anything. An Aware parent loves all children he or she meets and interacts with... For you are a caretaker for those moments in time. 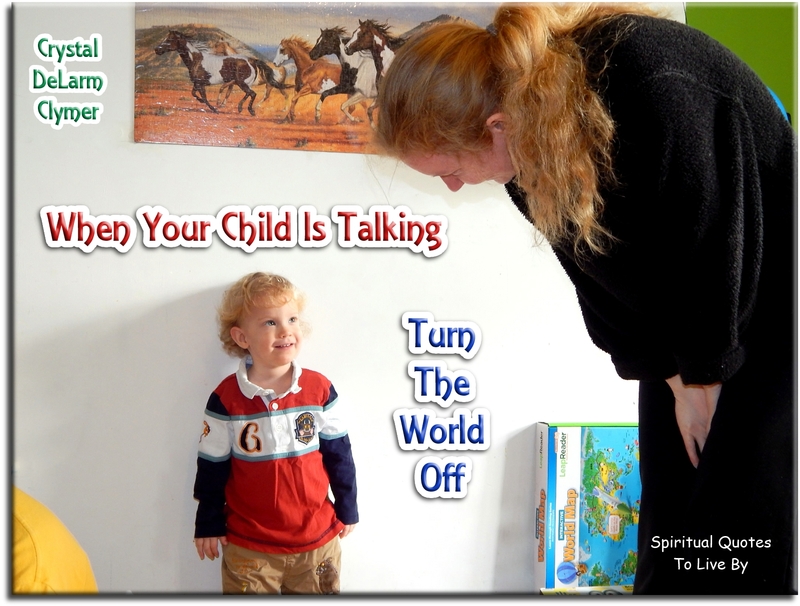 When your child is talking.. Turn the world off. 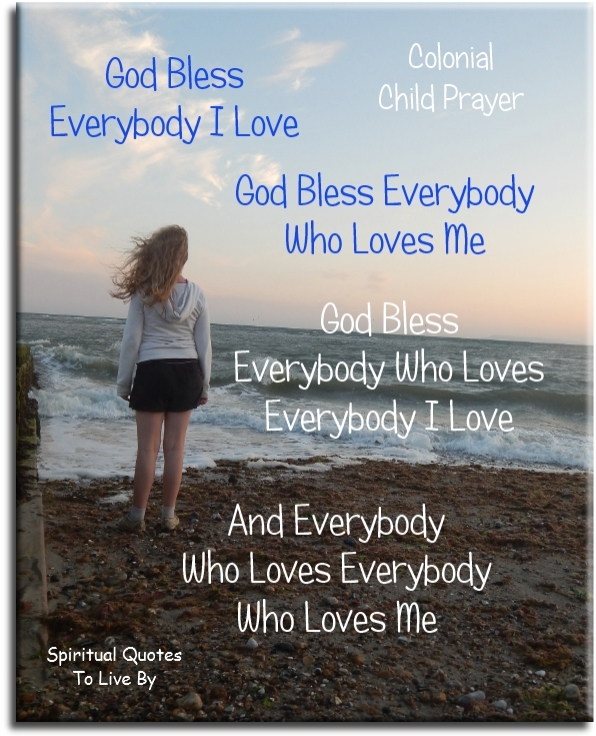 God bless everybody I love. God bless everybody who loves me. 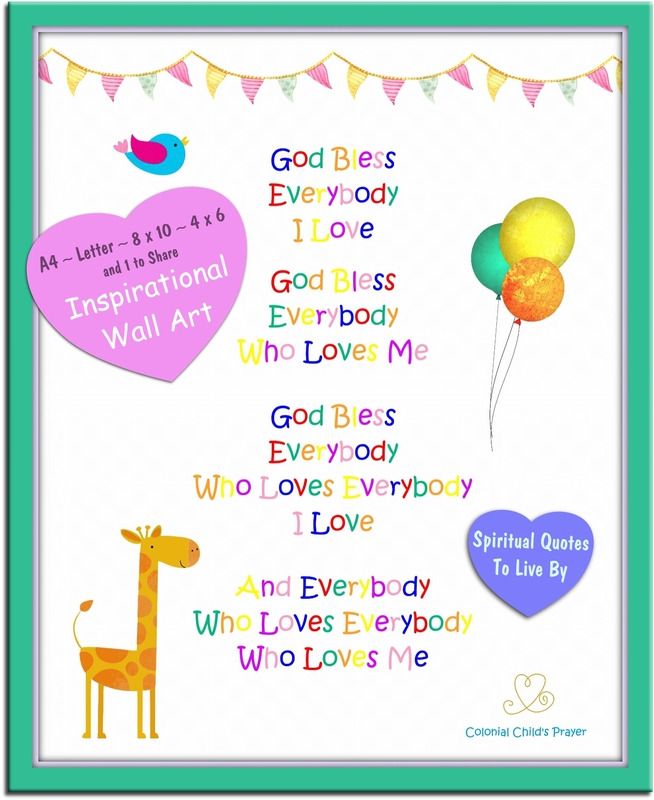 God bless everybody who loves everybody I love. And everybody who loves everybody who loves me. The print comes in four sizes and there is also a JPG to share with anyone. The hearts and frame are not on the print. The illusions of childhood are necessary experiences; a child should not be denied a balloon because an adult knows that sooner or later it will burst. Employ someone to do it for you. Or, forbid your children from doing it! 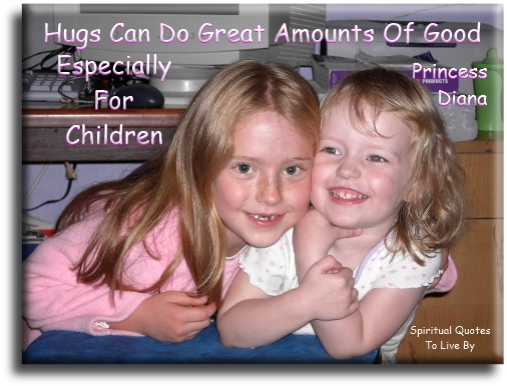 Hugs can do great amounts of good... especially for children. 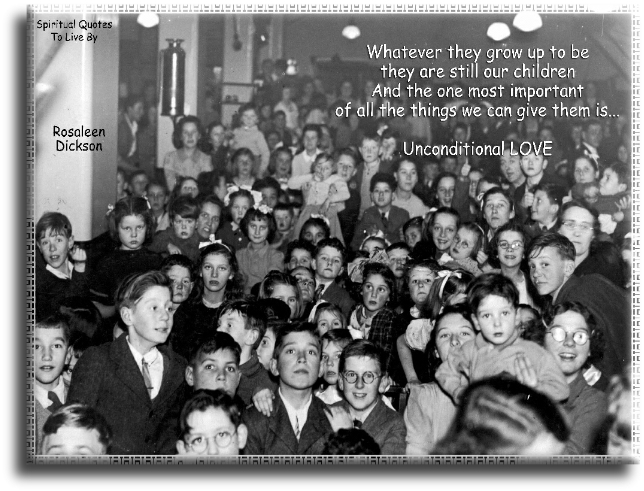 Whatever they grow up to be, they are still our children and the one most important of all the things we can give to them is unconditional love. 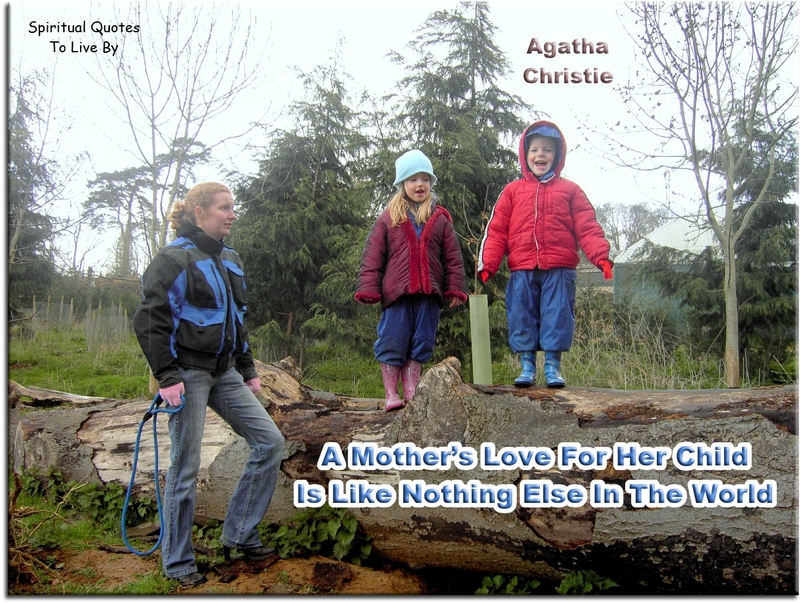 Not a love that depends on anything at all except that they are our children. Let them follow their own compass. 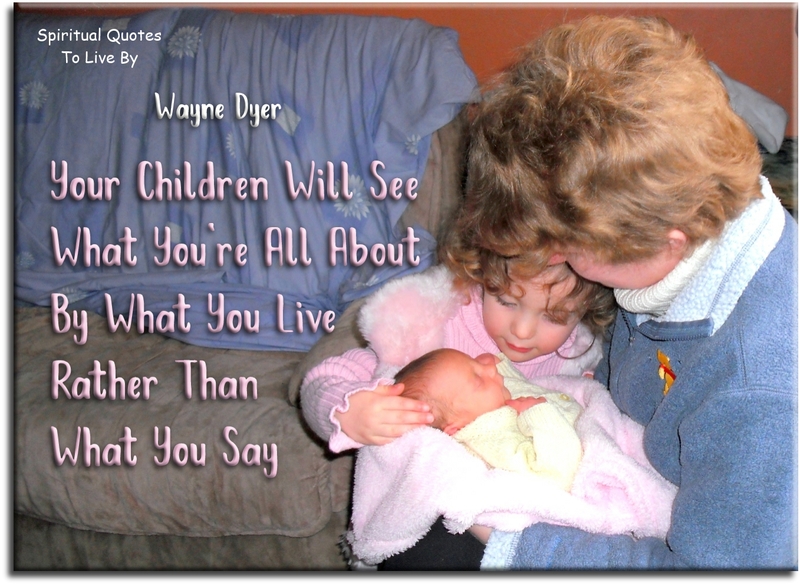 Your children will see what you’re all about by what you live, rather than what you say. Don't worry that children never listen to you..
You may strive to be like them, but seek not to make them like you. For life goes not backward, nor tarries with yesterday. You are the bows from which your children as living arrows are sent forth. The Archer sees the mark upon the path of the infinite and He bends you with His might that His arrows may go swift and far. 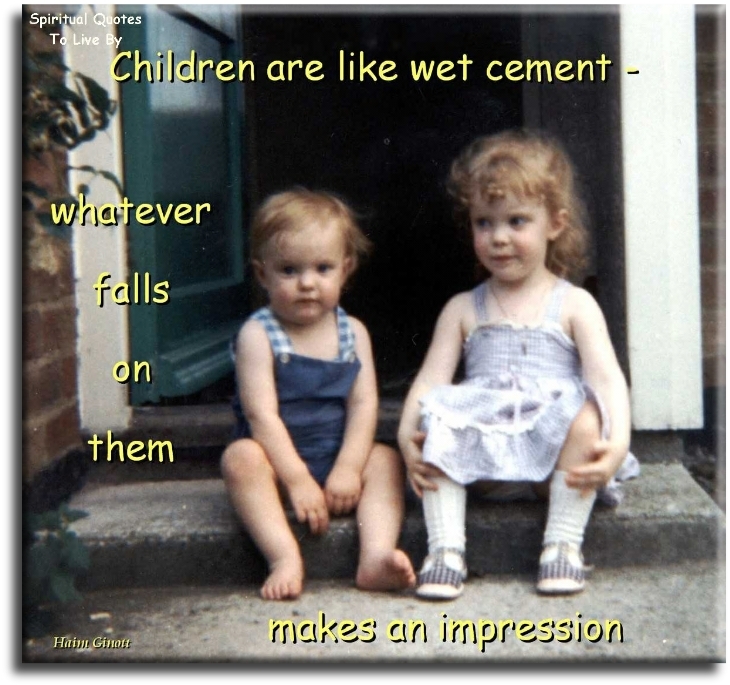 Children are like wet cement..
What children need most are the essentials that grandparents provide in abundance. They give unconditional love, kindness, patience, humour, comfort, lessons in life. And, most importantly, cookies. 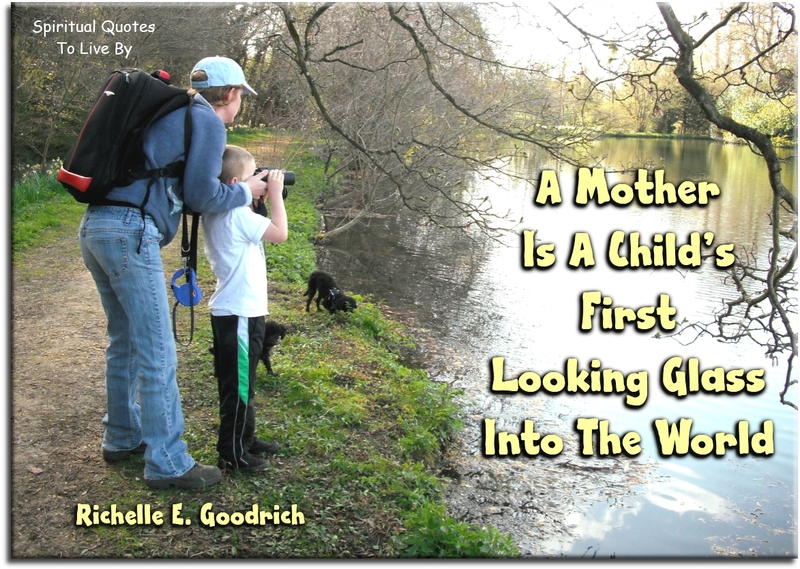 A mother is a child's first looking glass into the world. I love being with my children, they're fascinating people. 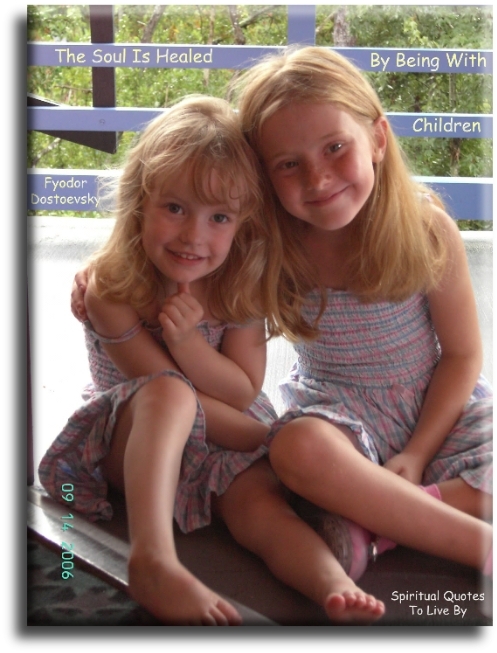 Children… they string our joys, like jewels bright, upon the thread of years.